Concert included high school and elementary school musicians from around the Island. 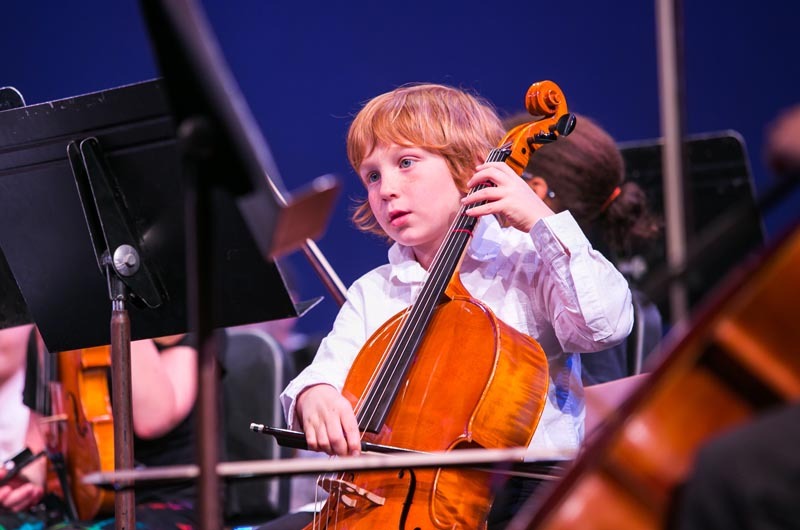 On Wednesday night members of the elementary school string program sat in the audience at the Performing Arts Center at the regional high school. They were enduring some last minute primping from moms who stood at the ready, comb-in-hand, to smooth down cowlicks or straighten button-down shirts before the young performers took to the stage. Strings instructor Nancy Jephcote opened the evening by welcoming the audience which was filled with proud families. “I believe the kinds of concerts they had in Vienna involved lots of sausage and effervescent beverages,” she said. Admittedly, the regional high school lies many miles away from Vienna, and the venue is not known for fine foods and bubbling drinks, however the effervescence of the 111 elementary school string musicians would have rivaled all things Viennese. To prove the point, later in the evening the musicians played Concert in Vienna. The evening began with the high school orchestra taking the stage. They were followed by the beginner orchestra, the violins and cellos leading the way, to perform Stop Gap Rock, a piece written by Ms. Jephcote specifically for this concert. Prior to Wednesday night, the beginner orchestra, comprised of musicians from all six elementary schools on the Island, had never played together. Ms. Jephcote said that watching the children on stage during this song was the highlight of the concert for her. The beginner orchestra’s performance was followed by the intermediate orchestra, which played four songs, and then the advanced orchestra, which played seven. For the finale, both of these orchestras combined to play America the Beautiful. Although the string program puts on an annual winter concert in January, Wednesday’s performance marked the first ever All-Island Spring Orchestra Concert. Ms. Jephcote described it as “the culmination of a lot of years of building up this program,” which was introduced to Martha’s Vineyard public schools in 1986. Ms. Jephcote did not arrange the spring concert music with any particular theme in mind. 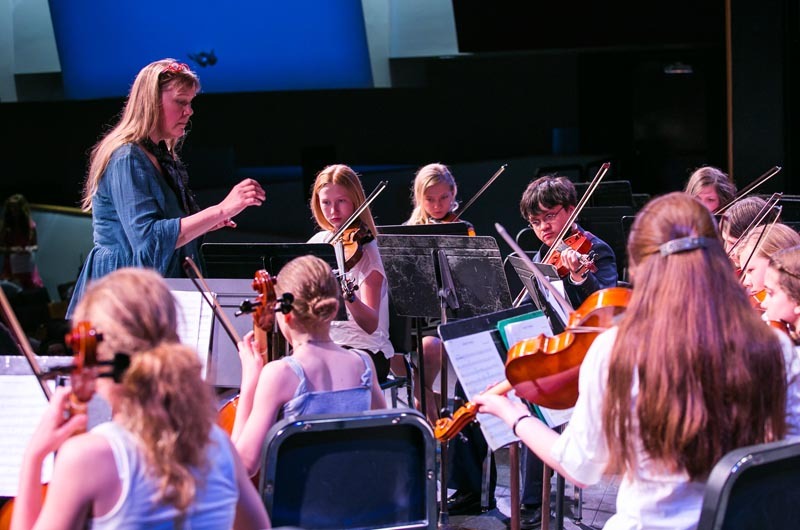 Most of the music was selected based on pieces the intermediate and advanced orchestras had learned for a Cape and Islands String Jamboree that took place in April. Each student in the string program will perform one final time before the school year comes to an end. 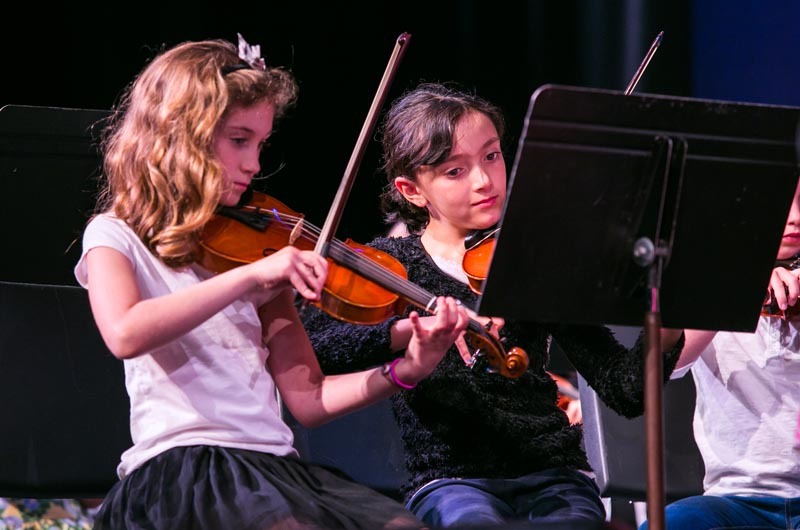 The string program will host one concert at each elementary school, where students will perform solo pieces in front of a smaller audience of students and families exclusively from their respective schools.